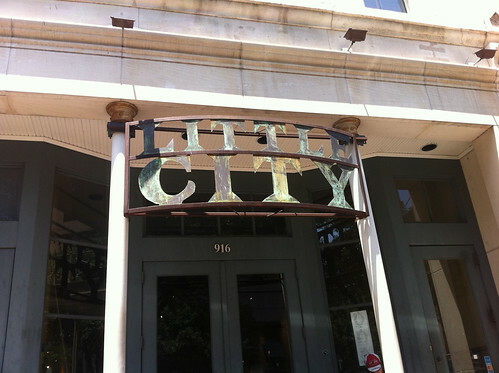 Little City is a coffee shop that’s become a bit of an Austin institution over the last 17 years. They’ve lost their lease and will close May 13th. Gwen and I had a last lunch there today. Little City wasn’t in Slacker (the fact that it’s too new is a bit odd to contemplate), but in a few days it too will become a layer of palimpsest that I can’t help but see.